The UK National Quantum Technologies Programme is a UK Government investment programme of £270 m over five years. The vision is to create a coherent quantum technology community that gives the UK a world-leading position in the emerging multi-billion-pound new quantum technology markets, and to substantially enhance the value of some of the biggest UK-based industries. The programme supports investments in research, innovation, skills and technology demonstration to help UK industry to commercialise these new technologies. 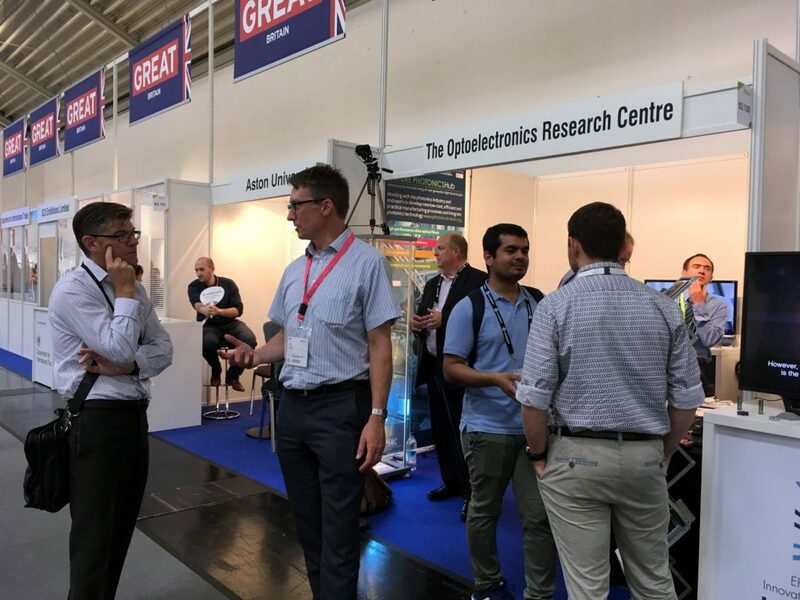 An annual showcase is organised by the Engineering and Physical Science Research Council (EPSRC) in collaboration with Innovate UK, the National Physical Laboratory (NPL) and the National Network of Quantum Technology Hubs. Our group have successfully exhibited at the showcase for 3 years in a row and are already preparing for QT Showcase 2019. The Conference on Lasers and Electro-Optics (CLEO) in Munich is another good opportunity to showcase our research. We exhibited in 2017 and we’ll be there in 2019. Come and visit us at our stand or attend our talks .